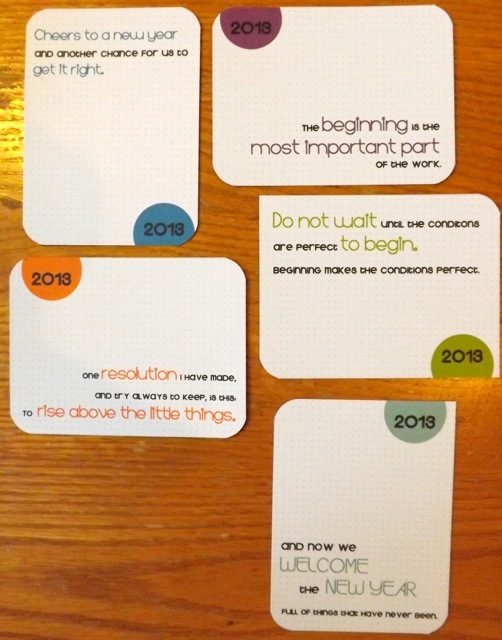 I am gearing up to attack the UKS HomePage for tomorrow morning but wanted to add these little 3 x 4 cards. Of course it is dismal and dark here so early and the not-natural light makes the photo less than lovely, but they will server to give you an idea of what they look like! 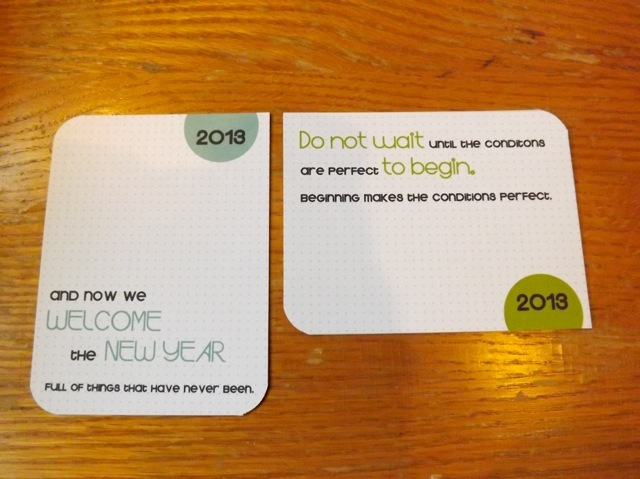 I did two versions – one has the date 2013 in the colourful circles, then other has blank circles so if you want to use them for another year, past or future, you could add a date by stamping or with a block of paper, or even print on white, punch out with a 1″ circle punch and cover the circle with one of your own. A smaller Nestie circle (and for small ones, I use my QK squeezer to punch, faster and easier than dragging out the Grand Calibur!) or punch and you could leave a rim of the original circle as a mat. or round selected ones, for a funkier look. I think I need to punch thru some tin foil to sharpen up that corner rounder LOL! I have left enough room that you can choose to use them decoratively OR journal a small bit in the open areas. The faint dotty background will give you guidance to keep your writing straight, if you need it. You could even add a small (1.5 x 1.5 “) photo to them if you wanted to. Hope they will be useful to you. As I mentioned for the past ones, an alternative use would be to stick them to sticky-backed magnet sheets and cut for a quick inspirational fridge magnet. Me? 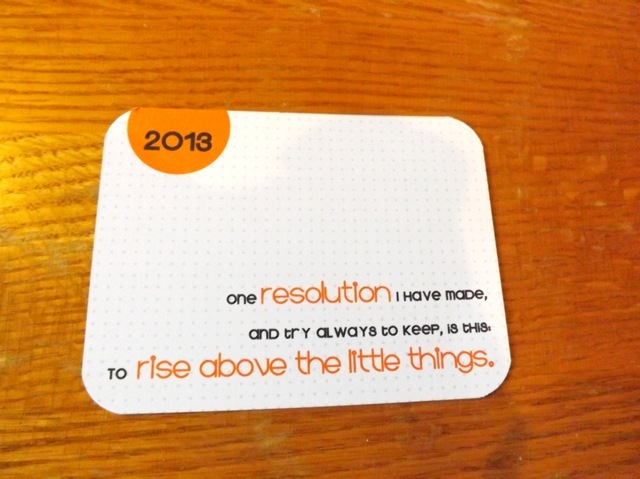 I think the rise above the little things quote is one I need to stick there as it seems the little things are the ones that drive me MAD! Happy Sunday – and do pop in to read the UKS HomePage tomorrow when I will lay out the plans and challenges for 2013. I think we will have some fun things to inspire you.